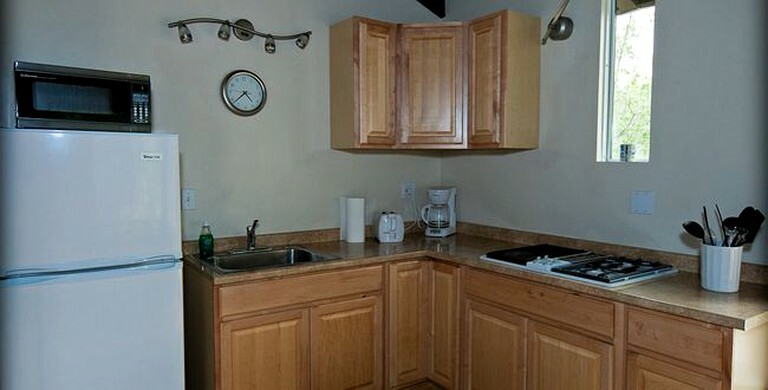 Facilities include play areas, free hot showers, fire pits, and picnic tables. Guests will also have Wi-Fi connection and parking on site. 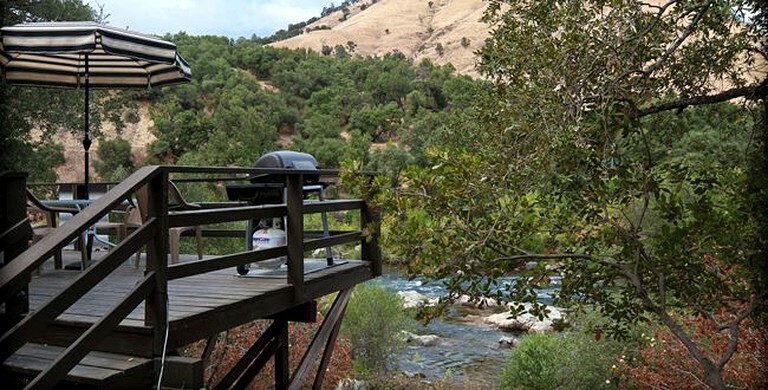 Additional features include a veranda with a view of the river and a propane barbecue. 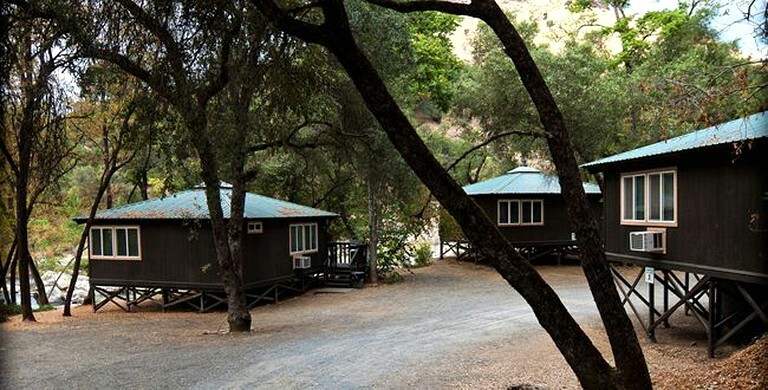 Guests are advised to bring queen-size sheets, pillowcases, towels, and toiletries to this glamping accommodation. There is a swimming pool available. It is subject to weather conditions and maintenance requirements and open from Memorial Day through September 30th. Each season offers its own appeal at this property. Nevertheless, guests will always find an activity when staying here. Summer months are the busiest, offering plenty of water sports, hiking, biking and wildlife viewing. 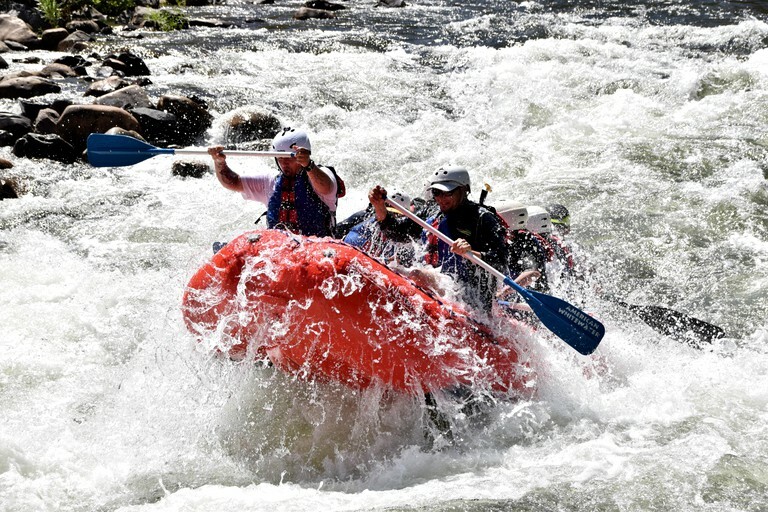 Guests can go whitewater rafting or enjoy a quiet kayaking trip along banks of the river. In the fall, guests can enjoy trips to local wineries including David Girard Vineyards or taste local olive oil at the Gold Hill Olive Company. 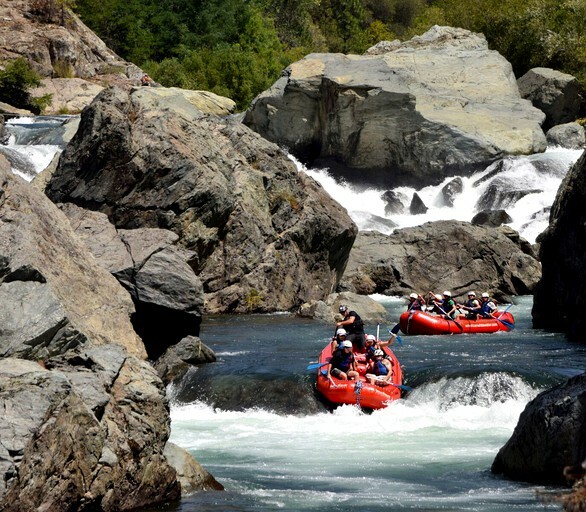 Head to surrounding historical towns like Placerville and Lotus or take day trips to both the Folsom Lake and Lake Tahoe. The resort is open year-round, as well as the surrounding region with all of its history, attractions, arts events, wineries, restaurants, and one-of-a-kind shops—all within a short distance from the site. 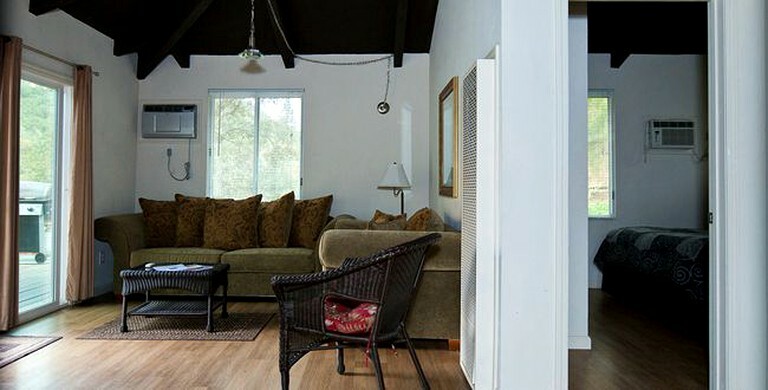 There is a 10% transient occupancy tax that applies to the river cabins only. Rates are based on a two-person minimum. Due to size, some cabins may require a higher minimum occupancy. There is no charge for a maximum of two children under three years old in each campsite.